When we moved to our current home we had been looking for an area where the climate made food production an easy option and where good food was being produced in the community as well. We have fruit and vegetable farms nearby, coastal fishing 15 minutes away and, just up the hill, one of the best dairies in the country. 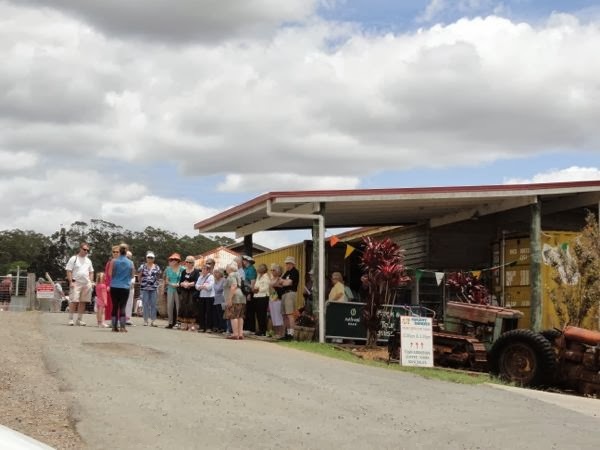 Maleny Dairies is a family owned business, established in 1948 by the Hopper family. Just after the milk industry was deregulated the Hoppers built a milk processing factory on site. Instead of sending their milk away to be mixed with milk from other dairies, and then sold to the public, they processed their own milk along with milk from a small group of local dairies. And the milk is the best I've ever tasted. Along side their milk, they developed other award-winning products. Flavoured milks, Guernsey cream, yoghurt and a delicious gluten-free custard. I took these photos when I visited the dairy to pick up my supplies last week. This was a tour just about to start. Always smiling, the staff there will make you feel at home. If you buy direct from the dairy you'll pay lower than the shop price. An ideal place for any cow to live her life. They eat natural food, live in the open air, safe and protected in their herd. And over-crowding is never an issue. One of the staff with milk bottles for the babies - here there are calves, sheep and goats. If you're on a tour, you'll have the opportunity to feed the babies. And this girl walked into the milking stall when I was taking photos. They are such placid animals. Over the past few years Maleny Dairies have entered all their products in the Brisbane Ekka and the Sydney Royal Easter Show. 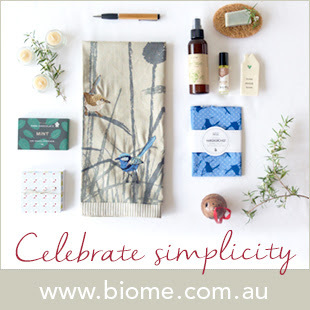 Every single product has won a Gold, Silver or Bronze at least once, if not multiple times. I think that proves the quality of their products, the rich Guernsey milk makes a real difference. I use their Farmer's Choice milk, which is non-homogenised, as our milk of choice to drink and for cheese making. Occasionally I get their large cream containers to make butter and cultured butter. I can also recommend their yoghurt and custard if you're having a busy period and don't have time to make it yourself. Here is a post from earlier in the year when I made butter. But the Hopper family was not content to just tend their herds, milk, process and sell their products, they've provided the Maleny community with a beautiful looking dairy and much needed employment for local people. I've visited the dairy many times and always see smiling faces when I'm there. The dairy is set on rolling hills, and dotted around you see the Guernsey cows, with their beautiful light brown and white markings, grazing and resting. The cows spend their lives living a good life on those hills. Twice a day they walk up to the dairy to be milked, it's quite a sight as they spontaneously form a line and start walking up the hill. Over the Christmas holidays the dairy will be closed Christmas Day - Wednesday 25.12.13, Boxing Day - Thursday 26.12.13, and New Years Day - Wednesday 1.01.14. The dairy will be closed and there will be no tours on those days. Remember, the dairy is closed on Sundays too but all other days you're welcome there to buy your milk and other goodies, at a reduced price. You can also bring a picnic and enjoy the view or have morning tea, afternoon tea or lunch at their little shaded, open air, cafe. It's a great place to take the kids to show them that milk doesn't come from a carton and that healthy cows on rolling hills produce the kind of milk that our grandparents used to drink. 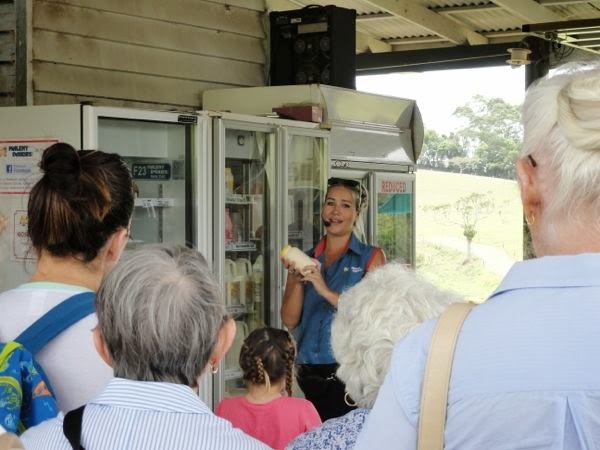 If you want to buy your dairy goods at Maleny Dairies, bring an insulated bag, and grab a free ice brick from the dairy's freezer to keep everything cool on the drive home. Thanks Donna. Yes, a day at the dairy with the grandkids is a real treat. The dairy is one of Jamie's favourite places. So wonderful to know that successful family dairies are still around. There's 'something' about cows and dairy country isn't there? Growing up, I was never the little girl who wanted a pony. All I wanted was a Jersey cow! As a long-time lurker, it's taken cows to lure me out and inspire my first post. 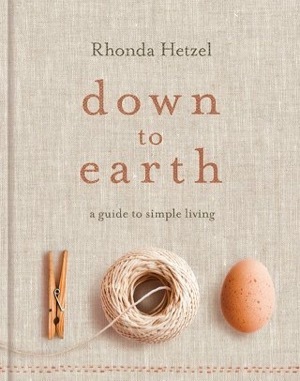 Rhonda, since discovering your blog about a year ago, I've been an almost daily visitor since. Your wisdom, humour and dedication to your writing are much appreciated. Melinda x. Welcome Melinda. I've finally lured you out. LOL I would love to have my own little Jersey house cow too but it would be too much for me now. Now I'm content knowing I have my favourite dairy just up the road. Do you think you'll ever have your Jersey? Rhonda, by the time I have the time and space for a house cow I think I'll have run out of energy! So I'll just have to be content visiting my favourite dairy town, Berry (NSW south coast) and dreaming of my 'Jersey girl' and her beautiful brown eyes. 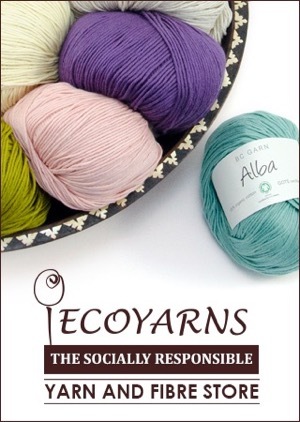 Melinda, you'll probably enjoy a visit to Ivy Next blog, the link is on my side bar. Tania has her first Jersey cow and has written a few posts about her. BTW, I was a McGrath before I was a Hetzel. Thanks Rhonda - though Ivy Nest now has me in a serious state of cow-envy! Rhonda, obviously 1948 was a good year eh? 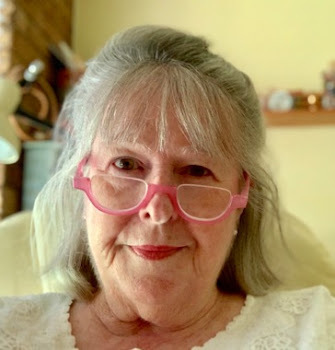 :-) Next time I am holidaying in Caloundra I will just have to be brave and try and negotiate those Sunny Coast roads and head up to Maleny. I also want to visit Isabell Shipard's Herb Farm so will have to do two tours in one day. I don't think the two places would be too far from each other. 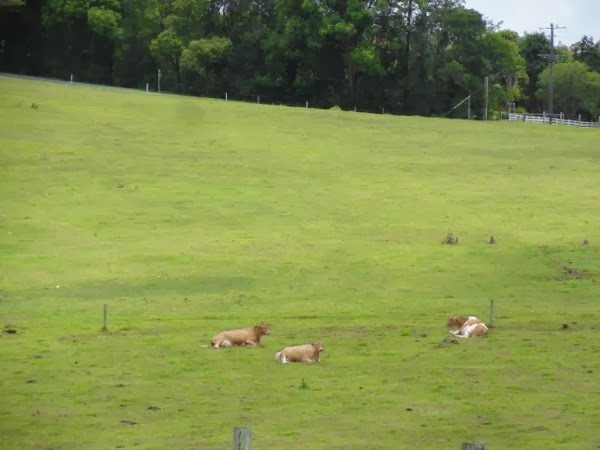 Those cows look so content and it is great to know that at least one of our Queensland dairies are still going strong. Chel, 1948 was a fine, fine year ;- ) The roads have been improved a lot over the past couple of years. 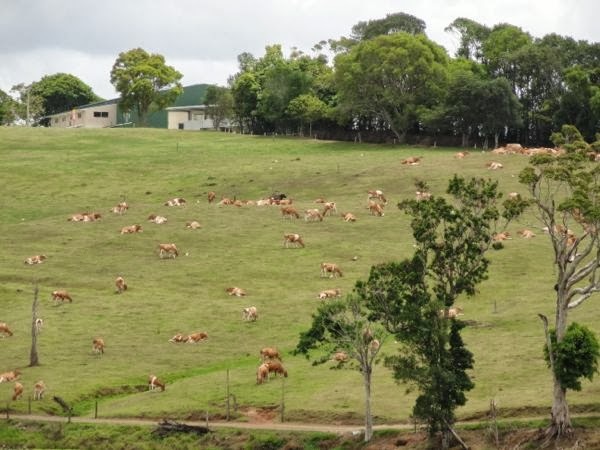 If you did the 10.30 tour at the dairy, you have plenty of time to travel over the Maleny-Montville road, along the top of the range, towards Nambour. When you get to the Mapleton-Nambour road, drive down the hill there (that roads has been improved too) and you'll come out at Nambour fairly close to Isabell's. Then you'd travel back to Caloundra along the freeway. That would be a wonderful day out. We live in the Clarence Valley and a local couple have just started a dairy similar to this. So far they produce only plain and flavoured milk. It is so nice to be able to buy local milk produce and know that you are supporting a local, such an rareity these days. We did have a 'corner store' shop until about 2 years ago then I had to go to the local Woolworths to buy milk. 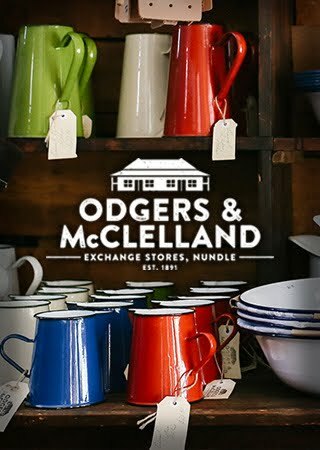 Whilst we never never ever brought the discounted brand I always found it more expensive to go because I would see other things on special and come out spending over $50.00. We are able to purchase this brand at so many outlets around here, including newsagents, thought I get mine at the local fruit shop, that though we pay a little extra for the milk I come out in front because I'm not taken over by so called 'specials' that lure you in and it is where I do my veggie shop. 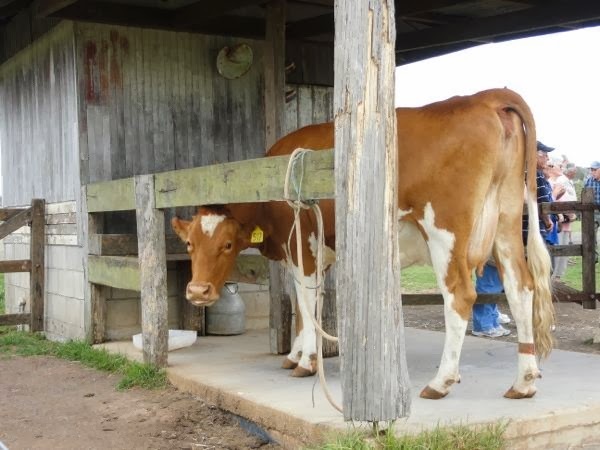 Next time we are up that way a tour of the Maleny Dairy is on the internary cause I love a Guernsey cow with those big eyelashes and pleasant nature. Hi Louise, the Clarence Valley is good dairy country as well. I'm so pleased to read about your local couple starting up their own dairy. I hope the locals get behind them. 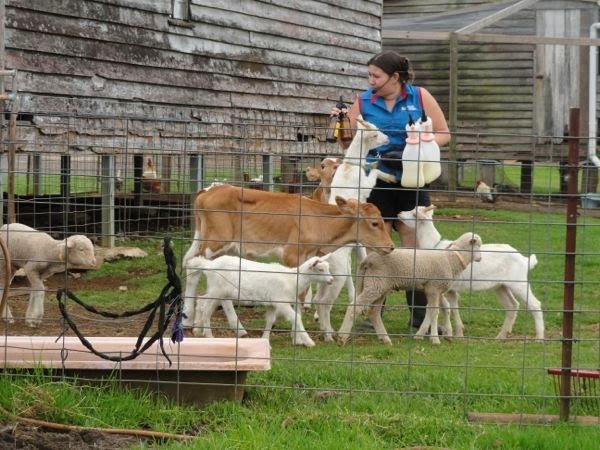 I'm sure you'll enjoy a visit to the Maleny Dairies. It's a great day out. I am very fortunate. I don't have a dairy, but I do have my very own Jerseys. Currently milking one-Miss Dolly. Annie just had her calf about a month ago. My plan is to milk her in six months time. Misty-we just weaned her calf, and I am giving her time off. I love the Jersey and Guernsey breeds. But I couldn't find a Guernsey 20 years ago. My first milk cow was a Jersey cross Simmental. I loved that cow! Well heck I love all my girls!!! My sister put me onto non homogenised milk as she tolerates this better then homogenised. It's more expensive and only comes in 1 litre cartons - not the glass bottles I remember as a child the milkie delivering on horse drawn cart (everyone would collect the horse pooh for their roses). When making yoghurt with it though I found it tends to be runnier, 'separates' more and have since read on blog sites that this normal - I thought I was doing something wrong. I generally therefore look out for discounted goats milk or other homogenised milk for yoghurt making. 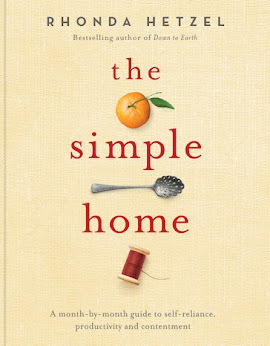 Hope you don't mind this late post; I am catching up on reading it as caring for my father became more intense recently. He died last Tuesday and we had a beautiful celebration funeral service and luncheon at his beloved church yesterday.Your blog has given me so much encouragement, help and got me on the path to making things for ourselves. Dad loved the bread I started making, meals from scratch, fresh herbs/veggies from the garden, your basic biscuit recipe was a favourite as well as the quark. You showed me how simple, easy as well as tasty these are to make. One thing my father often said was "Thank you for everything you are doing" & "Bless you", so I say that to you now. Hadassah, I'm so sorry to read the news of your dad's death. What a sad time for you. Take care of yourself.